In this blog, we will see What is a Virtual Machine? 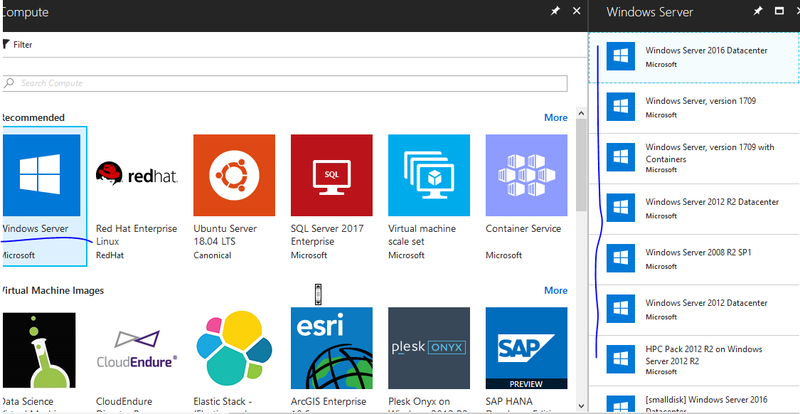 and How to create a Virtual Machine in Microsoft Azure? Azure virtual machines provide a fully configurable and flexible computing environment. You may create VM in Azure portal to get more control over computing environment. A virtual machine in Azure allows you to do computing without buying any physical hardware, with no maintenance. 1. What OS you need? 2. What size of VM your business required? 3. What software you need to run your business? 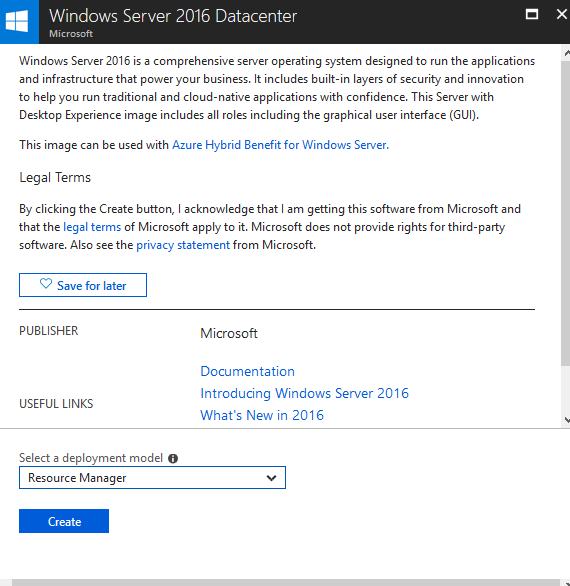 How to create a Virtual Machine in Azure? Follow below steps to create Virtual Machine in Azure portal. You may use same steps to create a Windows Virtual Machine and Linux VM. Click on Create Virtual Machine button in above screen. Now select your VM, you select VM with Windows OS or Linux OS, You may select a VM with per-installed software like SQL, Visual Studio, SharePoint. Give a name to your VM such as VMTest1 or MyVM, select disk type as SSD. Provide a user name and password. You may choose existing Resource Group or you may create a new Resource Group. Now choose a VM size which suits your need and budget. On the Settings page, in Network > Network Security Group > Select public inbound ports, select HTTP and RDP (3389) from the drop-down. Leave the rest of the defaults and select OK.
That's all, Your VM will be ready as per your provided information. You may download rdp file by clicking on connect, to connect your Virtual Machine remotely.